Right now my Christian friends must be getting a little miffed so I say that my anger extends only to those who are dishonest about their intentions, who ignore facts. theology and history by claiming that 'you can be Jewish and Christian at the same time'. If you seek to convert me, tell me directly that you would like me to stop being a Jew and become a Christian rather than distort my Torah in order to 'complete' me. 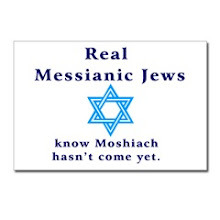 There are currently over 400 'Messianic synagogues' in the US with over a 100 000 'Messianic Jews'. Organizations like 'Jews for Jesus' attempt to ensnare Jews from their faith by speaking to them about 'believing in the Torah, along with the Brit Chadasha' (New Testament). They preach their love for 'Yeshua' and explain the teachings of 'the Rav Shaul' (Paul the Apostle) and his 'talmidim' (apostles). 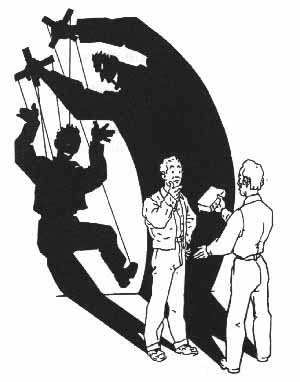 These spiritual deceivers lurk in the dark corners and prey on innocent Jews ignorant about their religion. Their favourite targets are the elderly, lonely for attention, Russian immigrants, who remained ignorant about Judaism while under Communist repression, and teenagers, seeking to fit in with their Christian friends. Despite all of their claims of practicing 'completed Judaism', you would wonder why they do not missionize outside of synagogues and yeshivot, in religious neighbourhoods as the rabbis and Orthodox would surely recognize them as 'kosher Christians'. Eli Wiesel explains the situation perfectly. He writes "The Jews have always opposed missionaries who believe that salvation belongs exclusively and irrevocably to them. When they try to tear you away from your faith and from your people, they are doing so out of altruism, they claim. But I feel less revulsion for Christian missionaries than for their Jewish accomplices. The missionaries are at least honest. They proclaim openly that their aim is to absorb as many Jews as possible into their church. They aim to kill their victims' Jewishness by assimilating it. They give each individual Jew the choice between Judaism and Christianity always doing their best to influence that choice. Their Jewish colleagues, however, the "Jews for Jesus", are dishonest. They are hypocrites. They do not even have the courage to declare frankly that they have decided to repudiate their people and its memories. In telling their victim that he can be Jewish and Christian at the same time as if the history of Christianity did not give them the lie they are laying a trap of trickery and lies. Even more detestable, they play on their victim's vulnerabilities. They always exploit weakness, ignorance, and unhappiness. They offer the victim a new "family" to replace his own, the "comradeship" he lacks, and, at the outset, a "no obligation" religious atmosphere. Later, it is too late to turn back. "Operation Enticement" has been successful." Groups like 'Jews for Jesus' reject the Oral Law as the work of man yet dress up their 'rabbis' in Jewish trappings to ensnare ignorant Jews. Their leaders are called 'rabbis' and wear kippot, talleisim, tzitzis and teffilin though these can only be explained through the Oral Law. They pray in 'synagogues' and try to disguise themselves as genuine Judaism yet anybody with the slightest knowledge in the Torah can see through their charades. Christianity may have grown out of Judaism yet the two faiths have been separate for 2000 years. Jews always a very small minority in the early Christian movement and the new religion quickly became primarily gentile. As Eliyahu HaNavi (Elijah the Prophet) said to the sinful Jews 'how long do you continue to waver between two opinions? Either Hashem is G-d, follow Him, but if Baal, follow him.' (Kings 18:21). Either Hashem is G-d, in which case be a Jew, and a Jewish Jew, or Jesus is G-d (Chad Ve'Shalom) and be a Christian. Its one or the other- time to make your choice. No amount of yiddish expressions, support for Israel or regret over anti-semitism can kasher this goyishe treif. 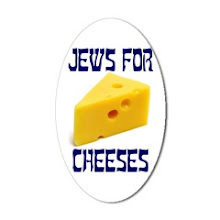 Bagels and lox or singing Hebrew songs doesn't make one Jewish- Judaism is defined by loyalty and belief in the Torah. 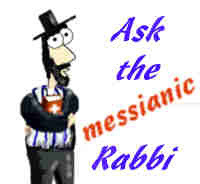 (Amazing anti-missionary with complete refutations of 'Messianic' doctrines are Jews For Judaism and Christianity Revealed) They engage in spiritual deception and open missionary offices in Russia or Israel, where many Jews no little about Judaism. It is amazing how Russian Jews, whose ancestors suffered under Christian pogroms and discrimination for centuries and could have easily improved their lives with a simply baptism and yet refused, are being lured away in droves. 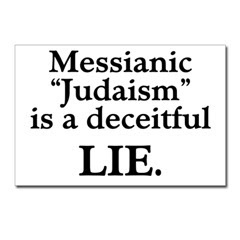 I say now to all 'Messianic' Jewish missionaries, not to their congreagtions who have simply been misled into selling their birthright for a pot of lentils, that they are not my friends but my enemies. I regard these spiritual parasites as more of a danger than Ahmadinejad or Hamas. I trust that Hashem will protect us form all of our external enemies but our national security is based upon our allegiance to the Torah. If we forsake the covenant (G-d forbid) and abandon the faith of our fathers who gladly went to their deaths singing 'Shema Yisrael', 'Hear O Israel, Hashem is our G-d, Hashem is the One and Only' rather than accept Christianity, what hope do we have for G-d's protection? No matter how much they claim to support Israel and oppose anti-semitism, 'Hebrew Christians' are enemies; the only difference between them and Hamas is that Islamic fundamentalists destroy our bodies while Christian fundamentalists destroy our souls. It is them who I think of when I say my amidah prayer, in the prayer against minim, heretic. This prayer was composed in the early centuries of the Common Era by Rabbi Gamliel for protection against heretical sects such as the Essenes, Sadducees, Karaites and early Christians. "And for the slanders may there be no hope and may all the wickedness perish in an instant; and may all Your enemies be cut down speedily. May You speedily uproot, smash, cast down, and humble wanton sinners- speedily in our days. Blessed are You, Hashem, Who breaks enemies and humbles wanton sinners." Speedily in our days Hashem, amen. More treason from the 'Israeli'-Arab fifth column. We've seen this before. Israeli-Arab leaders Sheikh Ra’ad Salah and MK Jamal Zahalka held a rally Saturday threatening Arabs who agree to take part in any Israeli national service. Sheikh Ra’ad Salah, who heads the radical northern branch of the Israeli-Arab Islamic Movement, called upon Israeli-Arabs Saturday to resist any attempts to offer any national service to the Jewish state. This call comes after a declaration earlier this year of an “Israeli-Arab Intifada” in response to construction near the Temple Mount. He warned that former PM Ariel Sharon had suggested mandatory national service for Israel’s Arabs and claimed that the current move, which is voluntary, is but a stepping stone toward the drafting of Israel’s Arabs. 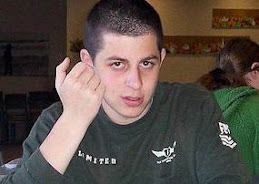 “They are trying to Israelize our youth,” he said. The protest took place in Haifa and was organized by a new movement called Balanda – founded and funded by the radical Balad Party, whose chief, former MK Azmi Bishara, is a fugitive, fleeing Israel during an investigation into his assistance of Hizbullah during the Second Lebanon War. 'sons of pigs and monkeys', the Jews. 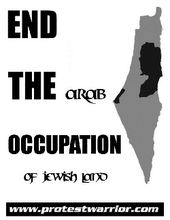 The only logical alternative to constant warfare and enmity between Jews and Arabs in Israel is expulsion. There is no room for two states in the Israel. The question is not whether there will only be one state but whether that state will be Israel or 'Palestine'. Jews arrived at the Yad Yair synagogue for morning prayers on Friday to the horrific site of Torah scrolls and holy books consumed in a blaze that destroyed the building. It was the third time in the past 18 months that the synagogue, named in memory of terror victim Yair Mendelson, was burnt down by Arabs. Built more than ten years ago, the Jewish house of worship is located near the Binyamin region community of Dolev, northwest of the Palestinian Authority government seat of Ramallah, in Samaria. The Arabs also defaced the memorial to Mendelson, who was murdered by Arabs at the beginning of the first intifada in the 1980's. They also destroyed a children’s playground. A torn Israeli flag was placed under a pile of rocks on the approach road. Most recently the synagogue was attacked last January, with many of the holy books and other sacred items burned, including the Torah scrolls. An adjoining building was also set on fire. Both buildings are located on privately-owned Jewish land. Three months prior, the synagogue was desecrated by vandals who broke into the building and destroyed its sacred contents. The Binyamin Regional Council suspects Palestinian Authority Arabs have carried out the attacks. Time and time again, the Arabs have shown that they cannot respect the holy sites of other religions. Think Temple Mount or Kever Yosef, which was torn apart by an angry Arab mob and repainted green to symbolize that 'Islam dominates and is not dominated'. And they should be trusted with a state in half of Eretz Yisrael (G-d forbid)? For every synagogue that they desecrate or burn down, we should build ten more settlements with synagogues at their heart. We should ascend to the top of the Temple Mount and forcibly take it back from the Muslim murderers. Let a synagogue be built at it's top where Jews can worship freely and should the Arabs object, dismantle al-Aksa and return it to Arabia where it belongs. When Israel disengaged from Gush Katif, it left behind the synagogue of the destroyed settlements. In the typical peaceful Muslim fashion, crazed hordes of Mohammedeans tore them apart and they are now used as terrorist training camps. "O nations: Sing the praises of His People, for He will avenge the blood of His Servants; He will bring retribution upon His adversaries, and He will appease His Land [and] His People." Deut. 32:43) May the great and awesome day of Hashem's revenge upon the nations come speedily in our days, amen. The Waqf's director-general Adnan al-Husseini said his decision to shun the committee's invitation [to compile a report about the Wakf's illegal excavations on the Temple Mount] was dictated by the Waqf's year-long policy. "The Waqf does not acknowledge Israel's authority in Jerusalem or the Temple Mount…the Waqf boycotts Israeli politicians all the time." Al-Husseini stressed that he did not intend to attend any formal meeting on the issue of the Temple Mount dig. "This is an Islamic issue that the Muslims should decide upon." Al-Husseini implies that Jews have no business about what Islamic authorities decide to do with the Temple Mount an 'Islamic holy site'. In the past few months, the Islamic wakf has been carrying out unauthorized excavations on the Temple Mount and even went so far as to intentionally destroy an uncovered wall dating from the First Temple period. Israeli archaeologists have discovered that Wakf officials have been dumping priceless ancient articles such as the bells that the priests wore in the Kidron valley. Jerusalem District Archaeologist Yuval Baruch uncovered fragments of ceramic table wares, animal bones, and more. The finds date from the 8th to 6th centuries BCE; the First Temple existed between the 9th and 5th centuries BCE, having been built by King Solomon in 832 and destroyed in 422 BCE. The finds include fragments of bowl rims, bases and body sherds, the base of a juglet used for the ladling of oil, the handle of a small juglet, and the rim of a storage jar. The bowl sherds were decorated with wheel burnishing lines characteristic of the First Temple Period. It has been standard policy for the past few decades of Wakf and Palestinian officials to deny that there ever even was a Jewish Temple in Jerusalem. To support their ridiculous claim, they have been destroying proof of the Temple. 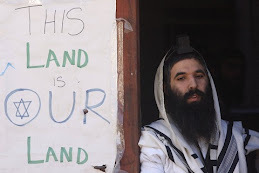 By doing this, they are able to tell the world that the Jews are colonialist invaders and that the "Palestinians" are the true indigenous people. 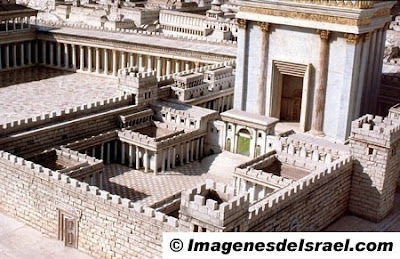 The Midrash long ago said "Eretz Yisrael is the navel of the world, and Jerusalem is its center, and the Beit HaMikdash is at the center of Jerusalem, and the Holy of Holies is at its center, and the Holy Ark is at the center of the Holy of holies, and in front of it is the Foundation Stone on which the world was founded." It is truely the heart and soul of our nation. Three times a day, we face Jerusalem in prayer and beseech Hashem 'that our eyes may behold Your return to Zion in mercy'. For 2000 years, we ended our Passover Seders, Yom Kippur fasts and Sukkot celebrations with the words 'Next Year in Jerusalem!'. Just as Catholicism is focused in Rome and Islam is centred in Mecca, Jerusalem is the soul of Israel. Without it, we are a body without spirit. Jerusalem is never mentionned in the Qur'an while it is mentionned over 800 times in the Jewish Bible. The Islamic connection to Jerusalem revoles around a singular verse which some interpret to refer to Jerusalem. 'Glory to (Allah) Who did take His servant for a Journey by night from the Sacred Mosque to the farthest Mosque, whose precincts We did bless,- in order that We might show him some of Our Signs: for He is the One Who heareth and seeth (all things)'. (17:001). The 'Farthest Mosque' in Arabic is al-aksa, hence the name of the current Muslim abomination sitting on the Mount. 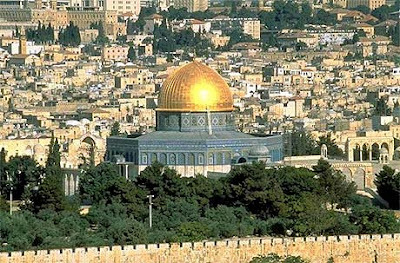 However, during the 7th century when Muhammad supposedly was transported to Jerusalem, there was no mosque on the Mount since Islam had not yet conquered Jerusalem. The only reason why the Temple Mount has become important in Islam is religious imperialism, to deny Jews legitimacy and rights over their most sacred site. It is in this sense that Avraham Avinu (read Parshat Lech-Lecha for proof that Avraham was most definitely a Jew) is called a Muslim in the Qur'an or why Muslims converted one of the greatest churches in Eastern Orthodox Christianity, the Hagia Sophia, into a mosque. 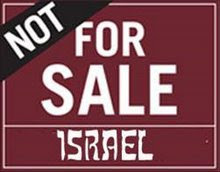 The true vilains are the Israeli government, corrupt collaborators with the vile Wakf. On the orders of the government, Jews suffer discrimination on the Mount. Jews must obtain special permission to ascend and religious articles are confiscated. A request to build a synagogue on the Mount was rejected while a proposal by the king of Jordan to build a new minaret, which symbolize Islamic supremacy, was accepted. Our ancestors, weeping over their exile by the rivers of Babylon, vowed "if I forget thee, O Jerusalem, let my right hand wither, let my tongue cleave to my palate if I do not remember you, if I do not set Jerusalem above my highest joy." (Psalm 137: 5-7) and now the Israeli government is gladly turning over our most sacred site, our birthright. I'll end on a positive note, with the first Priestly Blessing being recited on the Mount since the beginning of the exile over 2000 years ago. 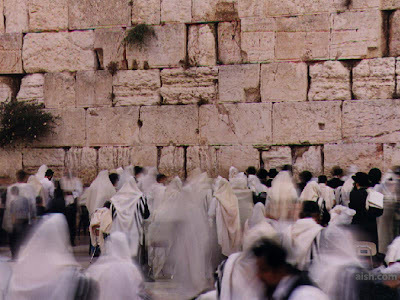 The Blessing is recited daily in synagogues in Israel by descendants of Aaron the Priest, but only on festivals in most synagogues in the Diaspora. 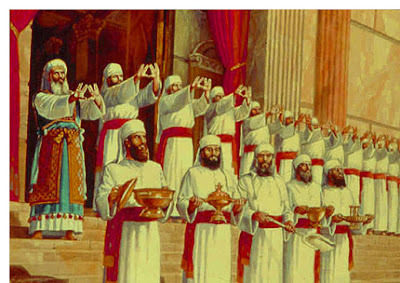 During the Priestly Blessing, the "Kohanim" raise their hands. Without even knowing the destination, only 'the land that I will show thee', Avraham left his birthplace of Haran at Hashem's command to live in Canaan. Avraham, at the age of 3 had recognized Hashem's presence in this word and begun to tell people that the son, the moon nor any other object was divine and that G-d alone was to be worshipped. Terach rushed to Nimrod’s palace to tell him that Avraham had revolted against the state religion. Nimrod gathered all of the princes and governors of the neighbouring lands and tried Avraham before them. 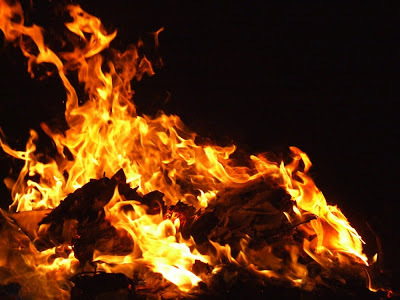 He ordered that Avraham be thrown into a furnace and burned alive for his blasphemy. Three days later, when Nimrod’s servants opened the furnace to take out the criminal’s charred body, they saw that Avraham was still alive. He explained, “The G-d of heaven and earth, in whom I trust and who owns everything, rescued me from the fire”. G-d says to Avraham habeit, look towards the heavens. Habeit in Hebrew denotes looking downward. Rashi explains on this verse "And He took him outside" according to its midrashic interpretation, He said to him,“Go out of your astrology,” for you have seen in the signs of the zodiac that you are not destined to have a son. Indeed, Abram will have no son, but Abraham will have a son. Similarly, Sarai will not give birth, but Sarah will give birth. I will give you another name, and your destiny will change (Ned. 32a, Gen. Rabbah 44:10). Another explanation: He took him out of the terrestrial sphere and lifted him above the stars. This explains the expression of הַבָּטָה, looking down from above (Gen. Rabbah 44:12). This is Jewish history in a nutshell- we are outside of the Zodiac. G-d lifts the Jewish people out of reality, out of logic, of realism. Logically, the Jewish people should have died out like any other ancient people. Martk Twain wrote of the Jews, "The Egyptian, the Babylonian, and the Persian rose, filled the planet with sound and splendor, then . . . passed away. The Greek and the Roman followed. The Jew saw them all, beat them all, and is now what he always was, exhibiting no decadence, no infirmities of age, no weakening of his parts. … All things are mortal but the Jew; all other forces pass, but he remains. What is the secret of his immortality?" The secret of our immortality is that Israel is not confined to the terrestrial sphere but that we surpass and overcome it. Neither exile, pogrom, expulsion, Crusade, Inquisition, Holocaust or jihad can destroy us. Rashi comments on the verse "but he did not divide the birds" Since the idol-worshipping nations are likened to bulls, rams, and goats, as it is said (Ps. 22:13): “Many bulls surrounded me, etc.,” and Scripture states (Dan. 8:20): “The ram that you saw, the one with horns, represents the kings of Media and Persia,” and Scripture states (ibid. verse 21): “And the he-goat is the king of Greece.” And the Israelites are likened to young doves, as it is said (Song of Songs 2:14): “My dove, in the clefts of the rock.” Therefore, he divided the animals, as an allusion that the nations will gradually perish. “But he did not divide the bird,” as an allusion that Israel will exist forever. [from Pirkei d’Rabbi Eliezer , ch. 28; Targum. Ps. 22: 13] The birds of prey sought to descend upon the carcasses, upon Israel and to devour it but Avraham drove them away. In the same way that the birds of prey were driven away, so will the wicked nations that try to destroy the Eternal Nation. G-d's people have His promise of protection and that they will inherit the land. Despite all of the troubles in the world today, rest assured that all of Nasrallahs, Ahmadinejads, all of the EUs, UNs, Condies and Bushes cannot overule G-d's promise to Avraham. We will overcome our enemies and inherit the land of Israel. The nations that hate Israel will perish but Israel will exist forever. 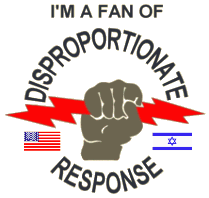 But My people did not heed My voice; Israel did not want [to listen to] Me. So I sent them away for the willfulness of their heart, for following their [evil] design. If only My people would listen to Me, if Israel would only walk in My ways, then I would quickly subdue their enemies, and turn My hand against their oppressors. Those who hate the Lord would shrivel before Him, and the time [of their retribution] shall be forever. 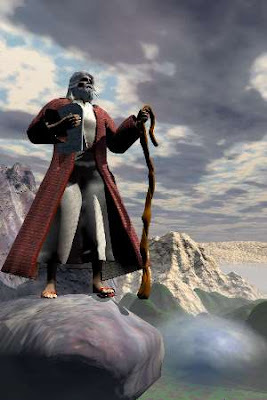 I would feed him [Israel] with the finest of wheat, and sate you with honey from the rock. 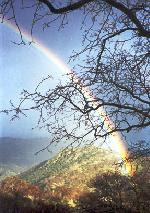 (Psalm 81:12-17) Speedily in our days, Hashem, speedily in our days. For the past little while, I've been debating with a "Christian" Jew (which is as ridiculous as "kosher pork" or "Christians for Vishnu") and we've come to the topic of faith. 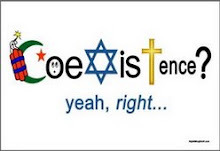 In this post I want to contrast the concept of faith in Judaism with that of Christianity and Islam. I trust that my Christian friends won't be insulted but after all, this is my blog and I can talk about my faith. 11. I believe with perfect faith tha G-d rewards those who keep His commandments, and punishes those who transgress Him. 12. I believe with perfect faith in the coming of the Messiah. Even though he may tarry, I will await his coming every day. This belief is not blind. It is based on reason, logic and above all, on the faithful traditions that we received from our forefathers. What separates Judaism and the Torah from all other religions or belief systems? The answer lies in the public revelation of Mount Sinai. Truely, is there any other people that claim such a thing? Do any other religions have millions of witnesses to butress their claims? All other divine revelations in non-Jewish religions are in private, with nor reliable witnesses or spectators. Paul on his way to Damascus, Constantine while on a bridge losing a big battle, Jesus in his Transfiguration, and the Mormon Joseph Smith, in a wooded grove. Why would G-d stake something so important as His Torah, His word, on the individual claims of one person? If Mohammed was meant to be His prophet, He would have declared so publicly. It is not enough to simply believe, we must think logically. American-Israeli relations expert Yoram Ettinger, a former Congressional liaison in Israel's Washington embassy, says the Palestinian Authority has always taken a pro-terror slant - in opposition to U.S. policy and interests. In the latest edition of his "From the Jerusalem Cloakroom" newsletter, Ettinger continues what sometimes appears to be a one-man crusade against the creation of a Palestinian state. His latest theme is that the PA openly supports Moslem terrorism and incitement, in opposition to US policy and interests. The newsletter has dealt with the issue of a Palestinian state of late, in anticipation of the Middle East conference scheduled for next month outside Washington at which U.S. President Bush hopes to make such a state a reality. Ettinger directly and sharply targets Palestinian Authority/Fatah chairman Mahmoud Abbas, known in terrorist circles as Abu Mazen, and the entity he governs. "Abu Mazen's PA/PLO," Ettinger writes, "has been a systematic ally of Bin-Laden, Saddam [Hussein], Iran, North Korea, China and Russia. 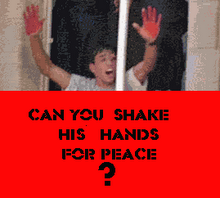 It has been a deadly threat to the Hashemites [of Jordan] and moderate Gulf regimes." Furthermore, Ettinger charges, the PA has been "a role-model of inter-Arab treachery, hate-education, terrorism, homicide and car bombing, hijacking and murder of diplomats (e.g., murdered US ambassadors in Sudan), human rights violation, oppression of Christian Arabs and corruption. PLO mentors were allies of the Nazis and of the ruthless communist regimes in Moscow and Eastern Europe." 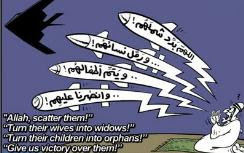 Ettinger, who still serves intermittently as an Israeli government consultant, cites cartoons recently published in the PA daily Al-Hayat Al-Jadida that honor the perpetrator of 9/11, Osama Bin-Laden, even as the US continues to mourn the nearly 3,000 victims of those attacks. 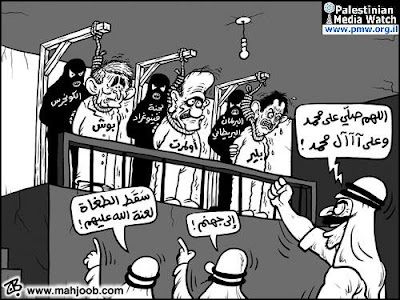 The cartoons "echo sermons and text books in Abu Mazen’s controlled mosques and schools," Ettinger notes. Palestinian terrorists fought US soldiers in Iraq and Afghanistan in the past, Ettinger said, and if they are granted a state, will simply provide an east Mediterranean platform to US enemies and will add yet another anti-US vote at the United Nations. “And turn their wives into widows!!" “And turn their children into orphans!!" “And give us victory over them!!" This is a special prayer for Laylat al-Qadr, the 27th night of Ramadan, literally the Night of Decree, Muslims recite a large number of prayers. New Palestinian textbooks refer to terrorists in Iraq as "brave resistance soldiers". Actually, Saddam Hussein, yimach shemo, was one of the chief allies of the PA and gave thousands of dollars to the families of suicide bombers. 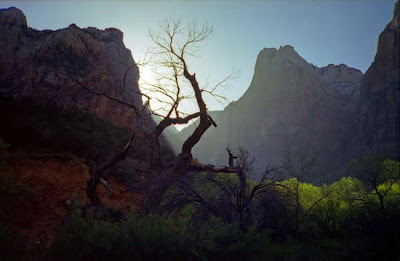 Here's a beautiful rendition of Psalm 121 set to music by Yosef Karduner. In honour of the upcoming holiday of Simchat Torah, the Rejoicing of the Torah, where we dance and celebrate all night with the Torah, I present this clip to you in the hopes that it will bring you closer to Hashem. A song to the ascents. I raise my eyes to the mountains. From where will come my help? My help is from HaShem, Maker of the heavens and the earth. He will not allow your foot to stumble; your Guardian will not slumber. 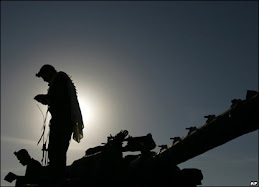 He neither slumbers nor sleeps—the Guardian of Israel. HaShem is your Guardian; HaShem is your shadow at your right hand. By day, the sun will not harm you; nor the moon at night. HaShem will protect you from every evil; He will guard your soul. HaShem will protect your goings out and your comings in, from this time and forever.